If you’re still looking for coworker or neighbor gift ideas, I’ve got a great one for you today. 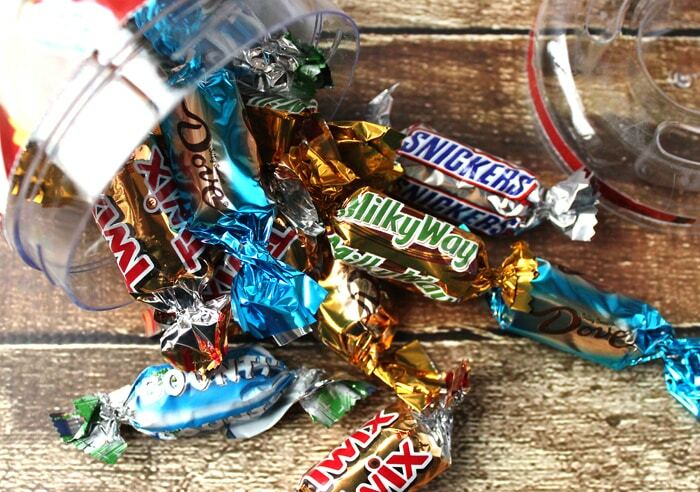 Treat them to the sweetest gift with these MARS® Celebrations® bottles! I came up with a really cute way to dress the bottles up for Christmas, and they are perfect! 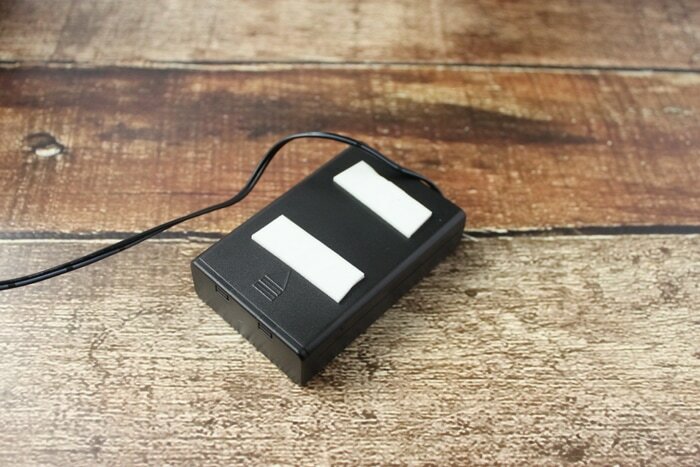 Have you seen those little battery-powered holiday lights in the stores this year? 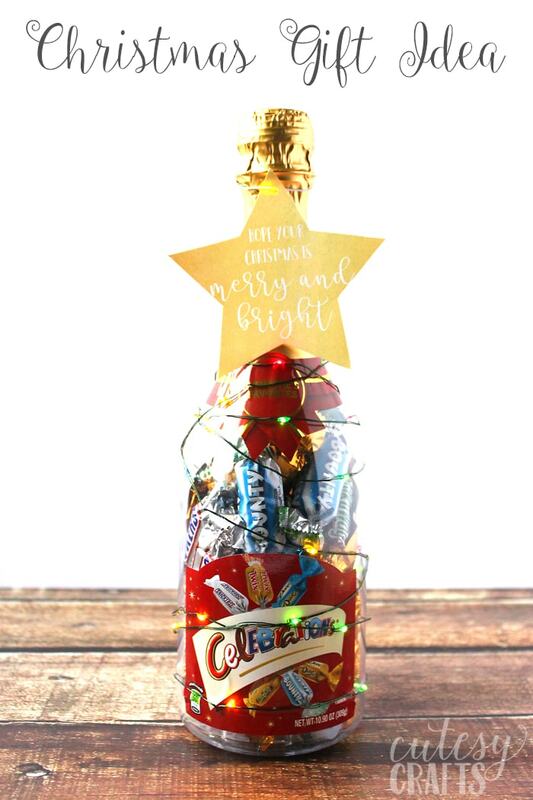 I wrapped them around the bottle and added a little tag to the top that says, “Hope your Christmas is Merry and Bright.” It’s almost like a little Christmas tree and is sure to get “oohs” and “aahs” from the recipient! The bottles are filled with all kinds of my favorite MARS® chocolates! Just pop off the bottom, and you’ve got a nice treat to share. Ready to shop for some MARS® chocolates? Hover over the photo below and click through to walmart.com to purchase! 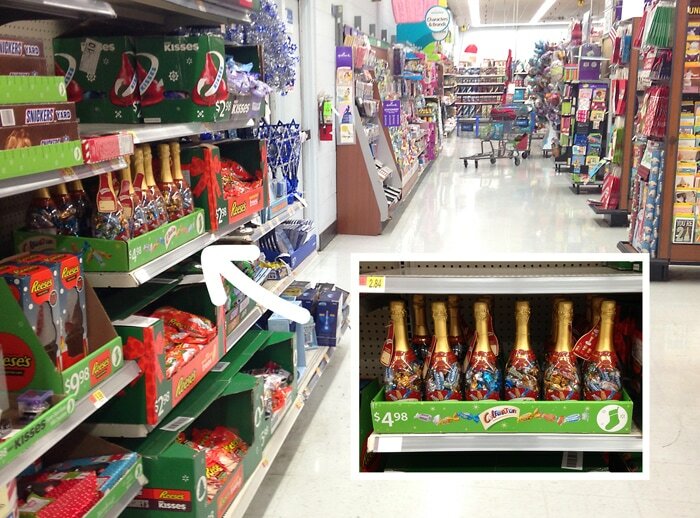 You can also purchase Celebrations® bottles at your local Walmart store. I found them on the holiday candy aisle. This is really easy to put together. Just wrap the lights around the bottle, securing it with small pieces of tape. Put the batteries in the battery pack, and hide it on the back of the bottle using a couple pieces of foam mounting tape. The bottle comes with a tag already on it. I recommend keeping it on the bottle, as it has the instructions for opening it. 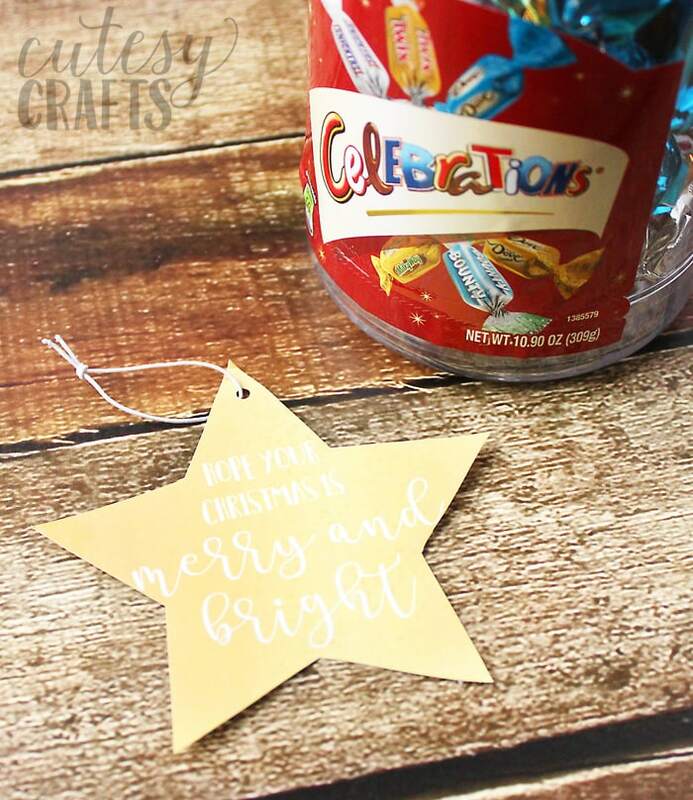 Print out my “Merry and Bright” star tag on some card stock. You can put it on with a new piece of string or string it on the existing elastic cord. 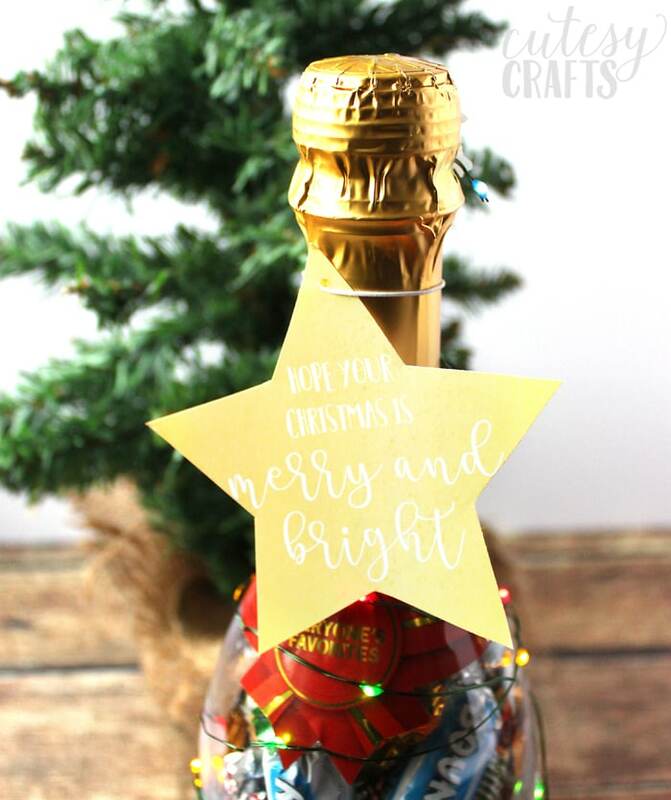 Put the tag on the top of the bottle, turn on the lights, and you’ve got a fun and creative gift for a neighbor, coworker, or friend! 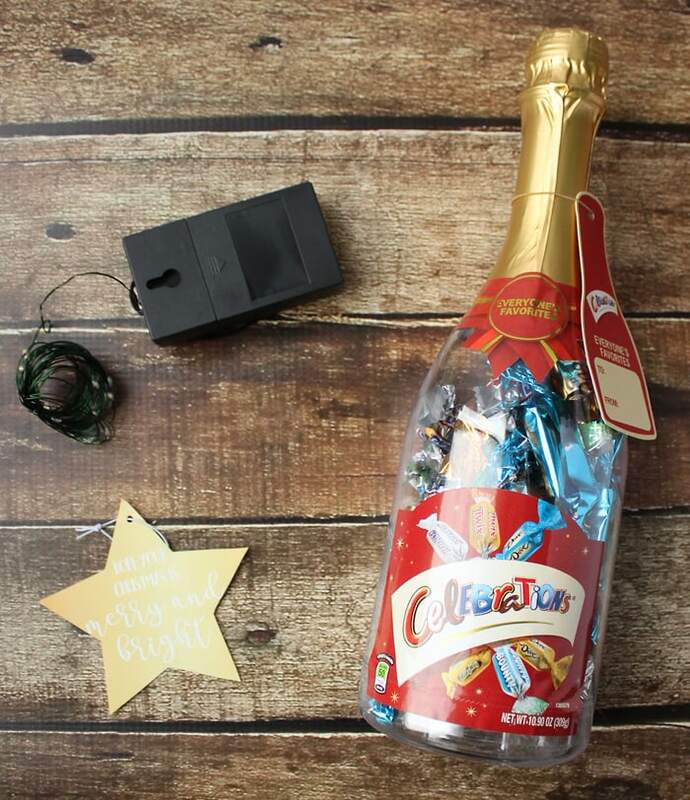 Who on your list would like a Celebrations® bottle? Pick some up at Walmart today!